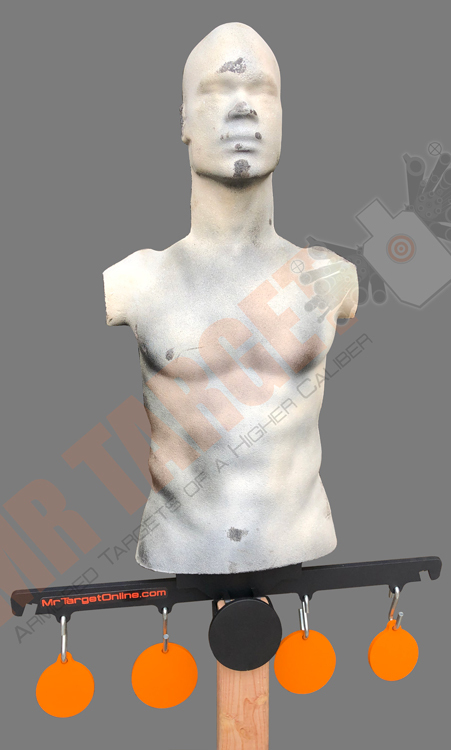 This “Rubber Dummy” target is a life size 3D torso that is made from 100% recycled rubber. The unique SELF HEALING material composition allows the projectiles to pass through with minimal deformation and degradation. They have an outer “skin” that reacts to each impact giving the shooter a realistic visual sense as to where the target has been struck. The “skin” can be quickly re-applied and you are ready to shoot a new target. Unlike our steel products, this rubber target system allows the projectiles to pass through which makes them ideal for indoor ranges, Tactical Fire Houses, and self defense training. The RUBBER DUMMY mounts directly to our Lifetime Warranty modular base systems with the optional mounting bracket. 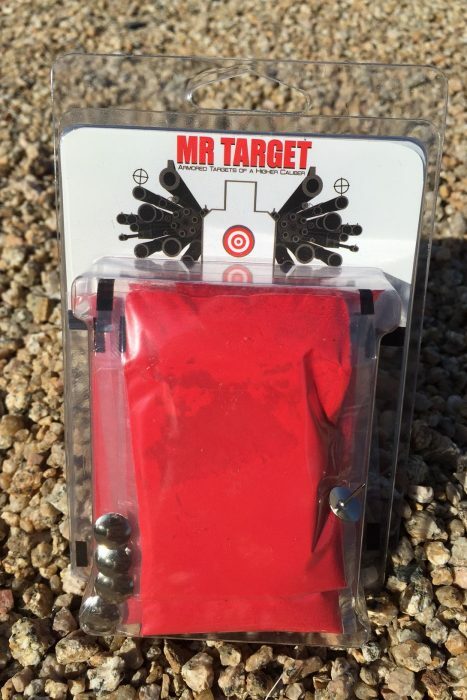 Be sure to pick up one of our “KILL SHOT” Myst Packs for your Rubber Dummy Target. Make shot confirmation easy with these dry/no mess packet that explodes into a cloud of red smoke! 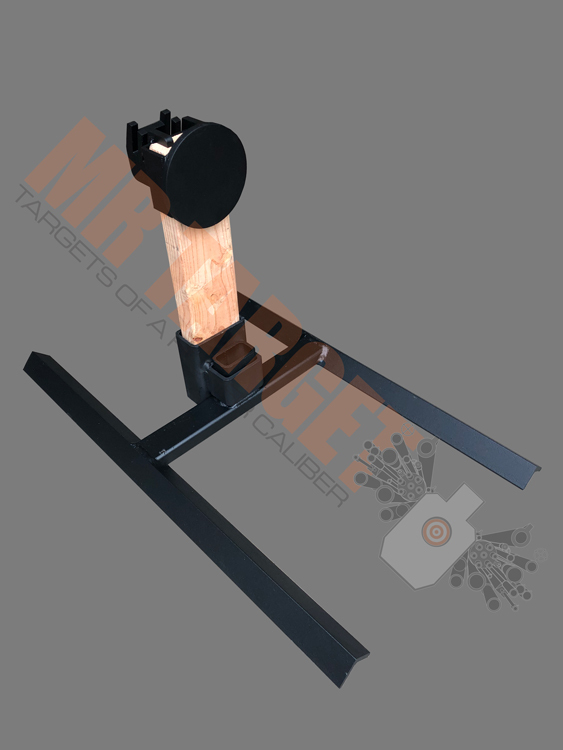 3D rubber LE target that can withstand 1000’s of pistol and rifle rounds. The RUBBER DUMMY mounts directly to our modular base systems with the included mounting bracket. 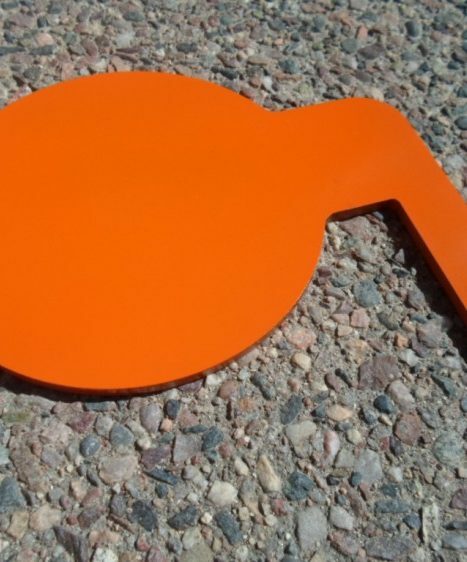 ALSO AVAILABLE – “KILL SHOT” Myst Packs for your Rubber Dummy Target. Make shot confirmation easy with these dry/no mess packets. 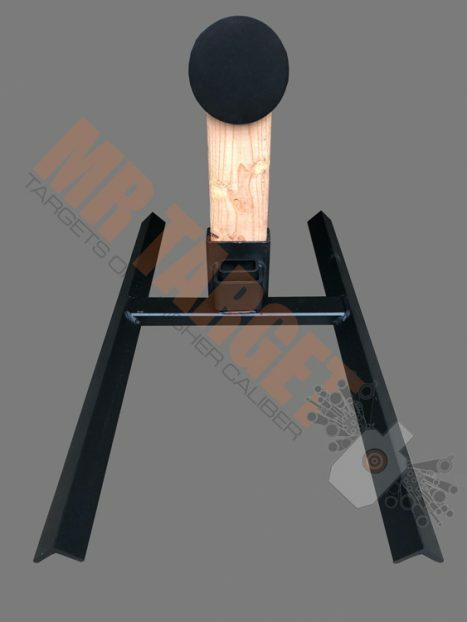 Make your target even more fun with accessories: add a 2 GONG RACK or one of our new SPINNER targets to your Rubber Training Target System. 2×4 WOOD BRACKETS – Budget friendly armored steel 2×4 brackets. As tall as you make them! Choose Top Bracket only or Top Bracket & H Base.